WASHINGTON, Oct. 6, 2013 – The Defense Department‘s top financial official provided details on which DOD civilians would and wouldn’t be able to return from furlough following Defense Secretary Chuck Hagel‘s determination some could return under the Pay Our Military Act. Robert F. Hale, DOD comptroller and chief financial officer, first and foremost, emphasized that the defense secretary values all DOD employees and views their jobs as critical, even though some will be unable to return immediately, and described it as a “painful” decision. “They do essential and important work, and I want to underscore that, but it is less directly related to military [support],” Hale said. In a couple of cases, he noted, certain areas simply were not covered by POMA, which was signed into law on Sept. 30. Hale said areas here included chief information officer functions, but not Internet protocol and cyber functions; legislative and public affairs functions, but not internal public affairs communications; deputy chief management office functions at the Office of the Secretary of Defense and component levels, and auditors and related functions. This list also included, according to a Defense Department new release, work done in support of non-DOD activities and agencies except the Coast Guard, and civil works functions of the Department of the Army. Hale explained how the Defense Department came to the determination they could bring some DOD civilians back. Hale said under DOD’s current reading of the law, the standard for civilians who provide support to members of the armed forces requires that qualifying civilians focus on the morale, well-being, capabilities and readiness of military members that occurs during a lapse of appropriations. “They’ll be working now, and under POMA, we can pay them in a timely manner their Oct. 11 pay will be on time and in full,” Hale stated. 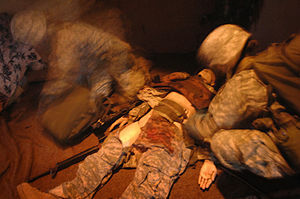 “We’ll recall a category of civilians who provide ongoing support to military members,” he said, such as health care activities and providers, sexual assault prevention and response providers, behavior health and suicide prevention, transition assistance programs for military members in active service, commissary and payroll operations and family support programs and activities, among others. “We’ll also recall a second category of civilians whose work, if interrupted by the lapse for a substantial period, would cause future problems for military members,” Hale said. Falling into this category, he said, are acquisition program oversight, contract logistics, financial management, intelligence functions and supply chain management. “So as our people come back to work, they’ll need to be careful that they do not order supplies [or] material for non-excepted activities,” he said. Hale said the military services will be responsible for identifying those they will recall, and believes it will leave no more than “a few tens of thousands who will remain on furlough,” if not less than that. “I hope we can get a substantial number back by Monday, we’ve got to give the services time enough to identify and notify those that will come back,” he said. “I think this underscores the point that although this is very important and we’re glad we’re getting most of our employees back, we haven’t solved all the problems associated with the lapse of appropriations by any means,” he said. “And we still very much hope that Congress will act quickly to end this government shutdown and this lapse of appropriations,” Hale said. The Department of Defense has no more important responsibility than supporting and protecting those who defend our country and that means we must do everything possible to prevent military suicide. As we observe Suicide Prevention Month, the entire DoD community Service members, civilians, members of our families and leaders at every level must demonstrate our collective resolve to prevent suicide, to promote greater knowledge of its causes and to encourage those in need to seek support. No one who serves this country in uniform should ever feel they have nowhere to turn. 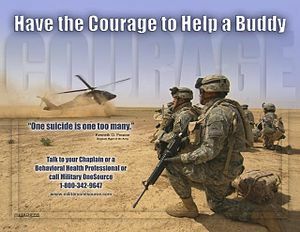 The Department of Defense has invested more than $100 million into research on the diagnosis and treatment of depression, bipolar disorder and substance abuse, as well as interventions for relationship, financial and legal issues all of which can be associated with suicide. We are working to reduce drug and alcohol abuse and we are steadily increasing the number of mental health professionals and peer support counselors. Effective suicide prevention training is critical to all these efforts and we are instructing our leaders on how to recognize the signs and symptoms of crisis and encourage service members to seek support. We are also reaching out to military families and the broader community to enlist their support in this cause. Seeking behavioral health care is a choice that embodies moral courage, honor and integrity. Those values are at the foundation of what that we stand for and what we defend. The Military Crisis Line is there for all who need it. I encourage anyone in need to call 1-800-273-8255 and press one to speak to a trained professional, 24 hours a day, 365 days a year. This service is confidential and available to all service members and their families. Always remember that our most valuable resource is each other. When one of us faces a challenge, we all must stand together. By fighting as one team, we can and we will help prevent suicide. Thank you. The Department of Defense announced today recruiting and retention statistics for the active and reserve components for fiscal 2013, through May. Recruiting. All four active services met or exceeded their numerical accession goals for fiscal 2013, through May. Retention. The Army, Air Force, and Marine Corps exhibited strong retention numbers for the eighth month of fiscal 2013. The Navy exhibited strong retention numbers in the mid-career and career categories; however, the Navy’s achievement of 90 percent in the initial category relates to reduced accessions from four to six years ago. Recruiting. Five of the six reserve components met or exceeded their fiscal-year-to-date 2013 numerical accession goals. While the Army Reserve met its May 2013 goals, it remains 1,662 accessions short of its fiscal goal.